London, The 2017 Camo and Huang He! Guess I missed the memo that London was getting a make over because man am i'm going to miss the winter look. The new looks is interesting though, so to anyone who likes it cheers. Also cool to see that the proper camo bonuses have been added to the New Years 2017 Camo. I will admit I was a bit worried they would change the permanent camo too, but they are the same, so cool. 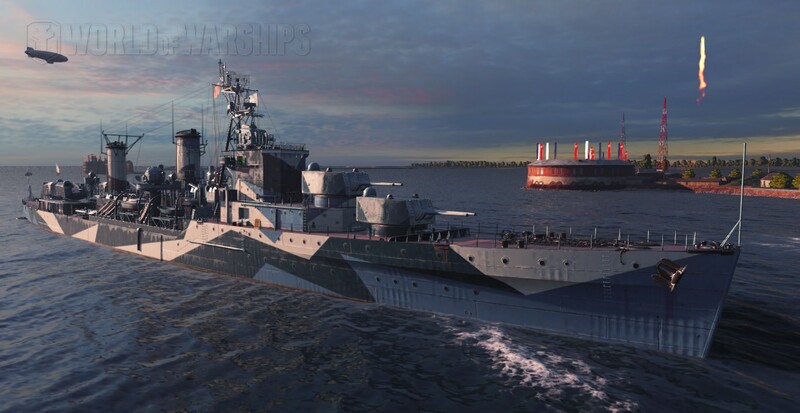 Most importantly, thank you Wargaming for allowing the new doubloon ships to be sold at a discounted price. At last she's finally mine! 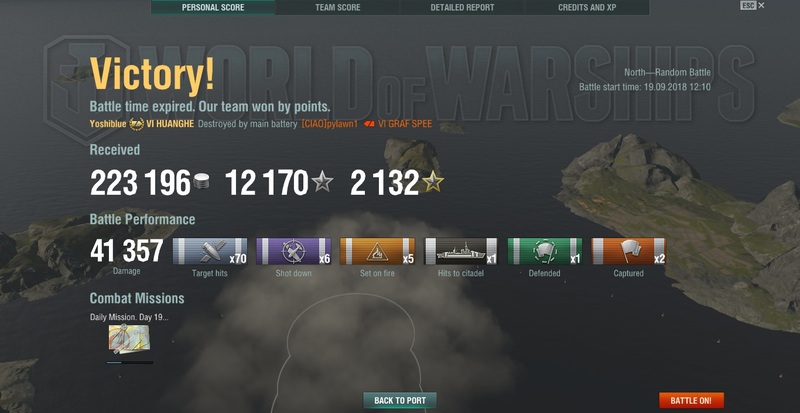 So once again, thanks Wargaming. First game was alright, nothing special, fresh new captain, could have made less mistakes. Made a large one at the end charging in by myself like a yutz. Lack of a spotter plane is bleh but it feels like it has more oomph behind every shot. Since she used to be the Arethusa, kinda surprised I didn't have the option to use a British flag. Overall I like her so far, but will need more games to decide if I like her more than the Perth. Hey @Taylor3006, evidently Huanghe is on sale for doubloons in-game. Heads up! At least the Huang can shoot down planes, Perth not so much.